We’ve all been in a situation where we wished we’d packed more cold weather clothing to keep warm. 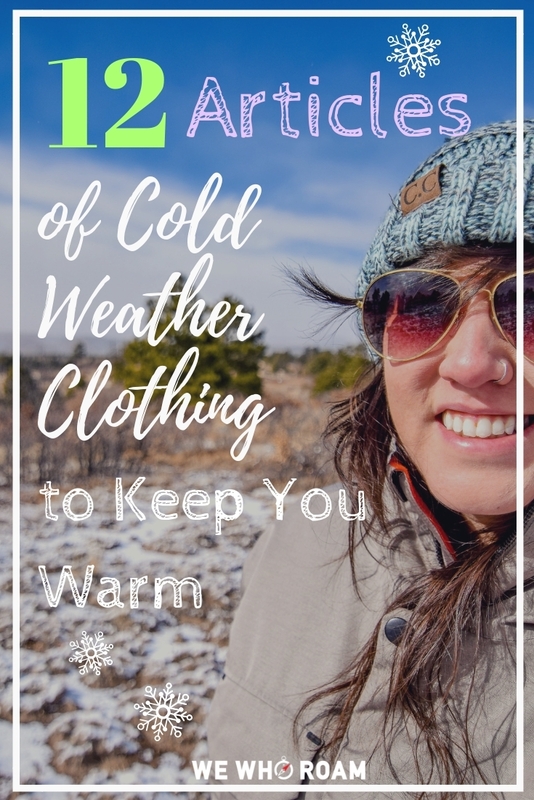 Many of us know to bundle up when the temperature drops, but how many of us know how to make the most of every article of clothing you wear? Don’t worry, that was a rhetorical question. In this post I’ll tell you about every piece of cold weather clothing you’ll need to battle the coldest of cold. As a preface this list is geared towards those who camp, hike, and spend a lot of time outdoors. Lets work from head to toe. Let’s keep your dome nice and toasty and free of any moisture that may be produced during any outdoor activity. How do we do that? Merino wool of course. Merino wool is notorious for it’s warming, breathing, and moisture managing properties. It’s no wonder that it’s a crowd favorite for many articles of cold weather clothing. The Smartwool Merino 250 Beanie is a popular choice and for good reason. It’s 100% merino wool! The market has several styles, weights, and fiber combinations when it comes to beanies. While there’s several varieties that will serve you well you just can’t go wrong with pure merino wool. If you’re an extremely active person you may want the lighter Smartwool NTS Merino 150 Beanie. A perfect fit under your helmet while cycling or climbing and under a hat for trail running, and other rigorous sports. You may have seen the wildly colored, cool patterned cloth tubes people rock in a variety of styles ranging from a neck warmer and sun guard, to a beanie, head band, and full blow face mask. They were first introduced by the brand Buff and now several companies have made their own iteration of this peculiar piece of cold weather clothing. Can you guess what Buff’s are made of? Yep. Merino Wool. This is an invaluable piece of gear as it can accommodate so many situations based on it’s ability to morph into so many configurations. I’ve used my purple Buff in almost every form primarily for warmth and protection from the sun. When you’re being active outdoors your body temperature fluctuates as you sweat and generate heat. A heavy duty jacket will quickly become to warm and taking it off will leave you feeling way too cold. Enter a layering system. Here’s a quick synopsis – Base layer wicks moisture away from body keeping you dry, mid layers trap heat, and a shell keeps you dry while shielding you from wind, rain, and snow. Add and subtract layers to accommodate the activity, temperature, and weather you’re in. This layer, the foundation of your cold weather clothing, is the clothing closest to your skin covering your torso. You can use a t-shirt or long sleeve shirt as a base layer. You’ll want the shirt to be made of, you guessed it, merino wool. Or any moisture wicking synthetic fiber. We like to save money and REI continually produces quality garments at affordable prices when we’re comparing to the competition. If you want something a bit more technical, there is the Smartwool Merino 250 Base Layer Quarter-Zip Top. Depending on the temperature and the level of your activity you can simply zip or unzip the zipper to regulate heat. Now that you have your base layer, you’ll want a nice and comfy mid layer fleece to trap heat and keep you warm. Fleece breathes well, is quick to dry, and manages moisture exceptionally. Although it does fall short in wind resistance. Wind tends to cut right through fleece so you may want to pair your fleece with an outer shell or down jacket. If you’re looking to save some money, again REI offers their private label REI Co-op Fleece Jacket at more reasonable price while maintaining the most basic and important functions of being warm and comfy. Our vote for a more premium fleece goes to The North Face Gordon Lyons Fleece Hoodie. With over 700 reviews and an overall rating of 4.8/5 stars you get a fleece with 3 pockets and a hood as an added bonus. Wait, 2 mid layers? So this will boil down to personal preference and how prepared you want to be. As previously stated, fleece has little defense against wind. Down jackets excel in wind protection, warmth, weight, and pack-ability. Personally the only reason I’d ever choose fleece over a down jacket is for comfort against the body. And that’s not saying too much as many down jackets are plenty comfortable. I’ll wear my down jacket directly over my fleece if winds pick up and it’s chilly enough. 1. Down Feather Jackets – use real down feathers from birds, the insulating feathers found underneath the tougher exterior feathers. The quality and loft of a down feather jacket is determined by “Fill-Power.” Fill Power ranges from 300 to well over 900, while the average fill power floats between 400-500. As a rule of thumb, opt for down jackets with a Fill-Power of 550 or higher. 2. Synthetic Down Jackets – uses synthetic fill, generally polyester. With all that said, Shelby and I opted for Synthetic Down Jackets simply because they’re functional when wet and are much quicker to dry. I’ll choose this option every time because of these 2 factors. Down feather jackets continue to be the most popular choice despite these facts. If a wet jacket is removed from the equation then down feathers do have a bit of an upper hand as per warmth to weight ratio and pack-ability. The combination of your layers makes a versatile kit of cold weather clothing so you can add and subtract to regulate your body heat. Your previous layers may hold up against the elements, but if you want to make sure you stay dry and warm look into adding an outer layer to protect from wind, rain, and snow. This layer is generally coated with durable water repellent (DWR) and keeps your inner layers functional in the most undesirable weather. The The North Face Venture 2 Rain Jacket is tried and true with nearly 3,000 reviews and a rating of 4.7/5 Stars. A slightly more affordable, yet reputable option is the REI Co-op Talusphere Rain Jacket. Just as you assumed, base layer bottoms is the clothing closest to your body from your waist down to your ankles. Just like your base layer top you’ll want this layer to be made of merino wool or any other moisture wicking synthetic fiber. I’m starting to sound bias, but reviews generally don’t lie and the Smartwool Merino 250 Base Layer Bottoms claim the highest rating and the most reviews for this garment. After reading the description and the reviews these men’s “leggings” sell themselves. Warm, comfy, odor resistant, and won’t shrink after being washed and dried. If you want to save a little money you can opt for the REI Co-op Merino Midweight Base Layer Bottoms. If you’re outside being active you’ll want to ditch anything cotton. That means your denim pants and cotton t-shirts. Why? Because cotton absorbs and holds onto water. If you’re in cold weather you’ll be feeling even more chilled while wet cotton continues to pull heat from your body. You’ll want a pair of pants made from synthetics like polyester or nylon. These materials will keep you dry, warm, and give you plenty of freedom for movement. This style is generally referred to as “Hiking Pants,” but they’re really just highly functional active wear and make great cold weather clothing. For versatility you can’t go wrong with convertibles. Pants that convert to shorts by removable zippered legs. Not the most stylish, but hey comfort and functionality tend to come first with the outdoors! The Columbia Silver Ridge Convertible Pants have over 100 reviews and rated 4.4/5 stars. They’re made from nylon meeting our criteria for material. If you can’t get into the look of convertibles you can shoot for just pants. 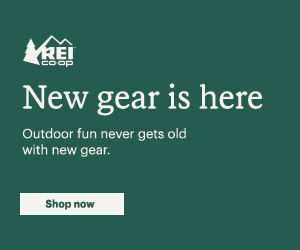 The REI Co-op Screeline Pants also have over 100 reviews and rated 4.4/5 stars. They’re made from nylon and spandex meeting our criteria making them very comfortable to wear. There are 2 Front Pockets, 2 Back Pockets, and 1 Zippered Side Security Pocket. Hands and feet are the first to feel cold as the body prioritizes your more important parts for heat such as your head and torso. It’s good to think about cold weather clothing for your extremities. Gear has gotten so technical since the last time I’ve truly paid any attention to it. Even gloves have made some advances when it comes to fit and finish. 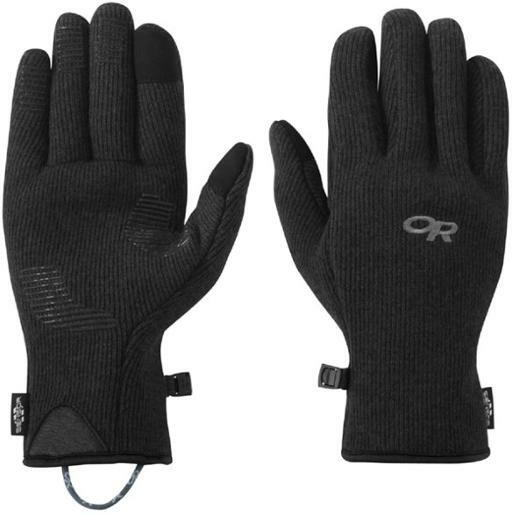 Anyhow, Shelby and I both own a pair of Outdoor Research Flurry Sensor Gloves. Made from wool, nylon, and polyester for a functional and comfy fit. The thumb and index fingers allow you to still use your touch sensitive technology. You may want to switch over to pin passwords if you know you’ll be using gloves often as a fingerprint log in still requires, well, an actual fingerprint. The only real downside is that wind cuts through these. Something to keep in mind. 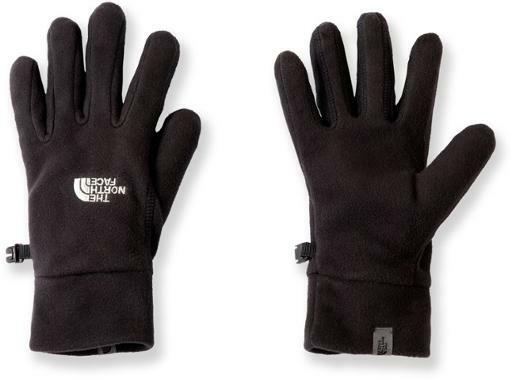 If you don’t care about tech savvy gloves and want to save a few bucks the following pair of gloves boast over 300 reviews with a 4.7/5 star rating. Wait, they’re North Face and they’re cheaper? A rare occasion, but we’ll take it! Both of these options will serve you well with a temperature as low as 0 degrees and above. If you’re being active you’ll want a pair of socks made from synthetic and/or merino wool. Again, you want to wick moisture away from your skin to keep you feeling warm and dry. 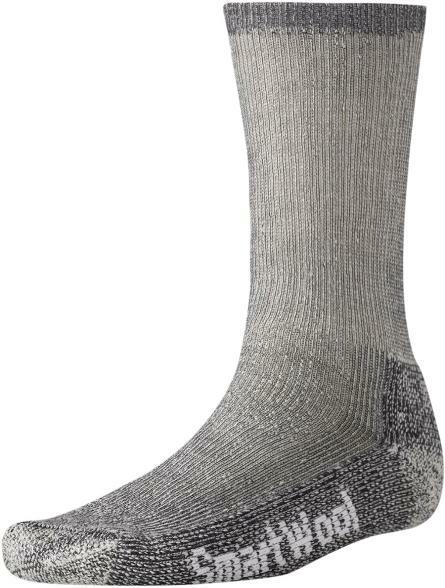 I’ve just recently fell in love with the brand Darn Tough Socks. They compress in the right areas, slip on and off super easy, come in fun patterns, and they’re made from merino wool and synthetic. The Darn Tough Micro Crew Cushion Hiking Socks boast over 200 reviews and a 4.9/5 star rating making the decision a no brainer. You can expect the same quality from the Darn Tough Hiker Boot Full-Cushion Socks. While the micro crew sock is good for 4 seasons, the full-cushion will provide more warm and added comfort in hiking boots during the colder months. If you’re as excited about Smartwool as we are when it comes to all of their gear that’s made this list then you may want to try out the Smartwool Expedition Trekking Socks. They boast heavy cushioning, have over 300 reviews, and have a confident 4.8/5 star rating. Really? Base layers for your feet? You betcha. Liner socks pull moisture away from your foot like the dry desert dirt of Death Valley sucking up a drop of water in 130° weather. Okay, maybe not that dramatic but you get the idea. You wear liner socks underneath your hiking socks. Thankfully these are rather affordable and we recommend the REI Co-op Merino Wool Liner Socks for the now obvious reasons, warmth and moisture wicking ability. If you’re camping or just outdoors in the cold, you’ll want a sturdy pair of boots that will also keep you warm. We recommend boots that sit above the ankle. More material more warmth. Especially when paired with quality liners and socks. The North Face Chilkat III Winter Boots are so toasty you may not even need to layer up on socks! Over 250 reviews and a 4.4/5 star rating makes this a crowd favorite for their form and most importantly, function. Use them around town, for work, while camping, and even hiking. 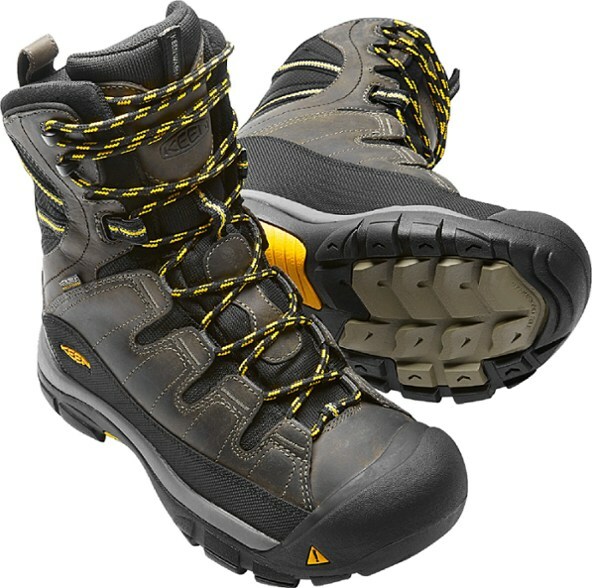 If you want a hiking specific boot for winter you can look no further than the KEEN Summit County Winter Boots. They’re rugged, tall, and waterproof. These boots will keep you comfortable well below 0 degrees and provide the support you need while on or off the trail, under weight. If you want a full run down on what makes a quality pair of hiking boots you can read my 9 Expert Steps to Choosing a Pair of Hiking Shoes. Congratulations! If you didn’t already know about every piece of gear in this list, well now you do. You can now choose what’s right for you and better recommend cold weather clothing options to friends and family all while sounding like an expert. I mean you kind of are, now that you know all this info! Every part of the body can benefit from the right piece of gear. What types of cold weather clothing are you wearing? Is there anything we missed in this list? We’d love to know in a comment below! Nathan Bernal is the co-founder, editor, and author of We Who Roam. As a life long adventure and gear enthusiast Nathan combines fun and expertise when out exploring the natural world. He's here to share his knowledge and inspire the adventurer in you. Hi, we’re Nathan & Shelby! Two nature and travel enthusiasts driven by a shared passion to see the world and all of its natural wonders. We crave new experiences, outdoor adventure, and the freedom to explore our beautiful planet. All while traveling on a budget. We hope to help you do the same!